Communication is a constant problem for any company. Even if you are proactive and send the right message at the right time, what is the assurance that people will actually read it? There are many problems that get created because customers just miss to read important messages. Hence, the trick is, to use visualization to a great extend. Instead of a long text (Which can always come later), use a picture or two to attract the attention of customers and then give them your message, This simple trick improves the hit rate to a great extend. 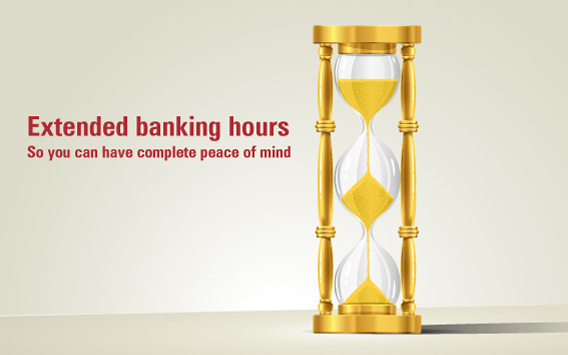 For example, this is the image used by ICICI Bank (from India) to inform its customers about their extended hours option, Beautiful illustration which anybody will understand, and makes an immediate impact, isn’t it? What can we do to visualize your marketing / sales / service messages? Any other tricks you can share? This entry was posted in Campaigns, Case Studies, Communication, CRM, Customer Service, How To, Information Overload, Learning, Media, Personalization, Targeted Messages, Tips & Tricks, Uncategorized, User Adoption. Bookmark the permalink. Loyalty Programs : Do they really work?